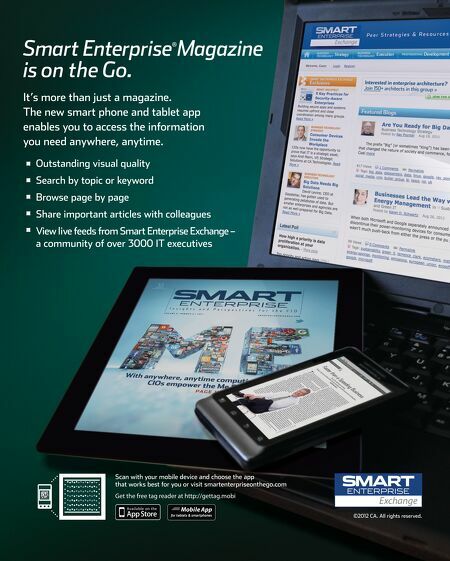 Smart Enterprise Magazine is on the Go. ® It's more than just a magazine. The new smart phone and tablet app enables you to access the information you need anywhere, anytime. 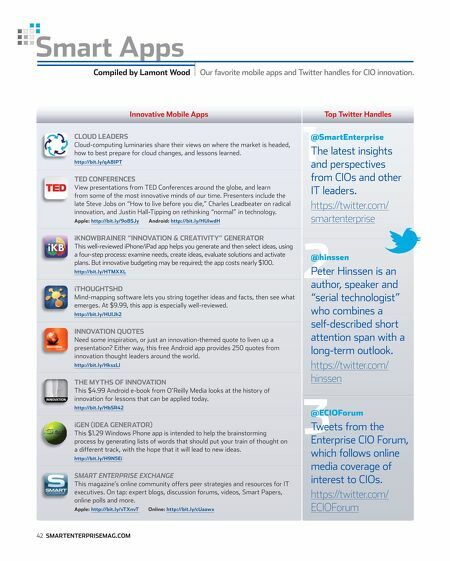 Outstanding visual quality Search by topic or keyword Browse page by page Share important articles with colleagues View live feeds from Smart Enterprise Exchange – a community of over 3000 IT executives Scan with your mobile device and choose the app that works best for you or visit smartenterpriseonthego.com Get the free tag reader at http://gettag.mobi ©2012 CA. All rights reserved.